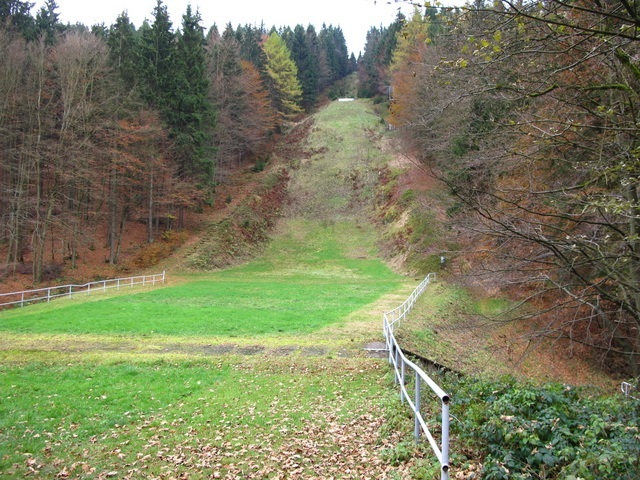 In 1930’s at Schmiedefeld on Rennsteig small snow jumping hills, on which children practised, stood at Gablonz creek every ten meters. 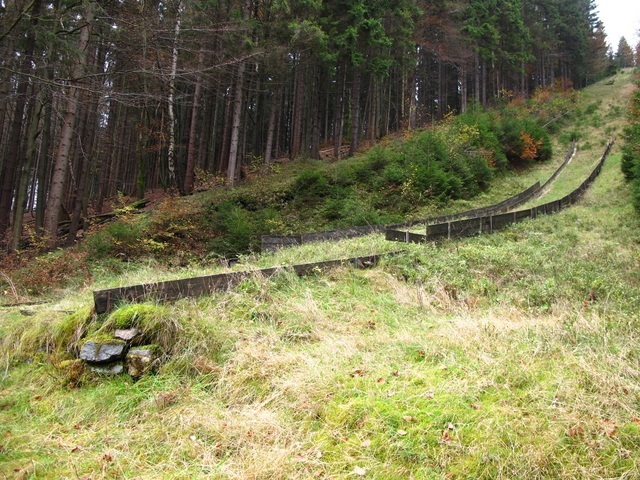 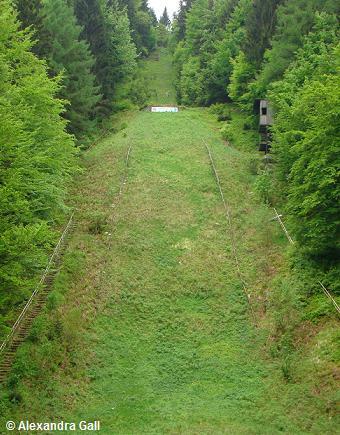 Later real ski jumping hills were built up at locations like Gersgrund, on Stänglich and on the I-line. 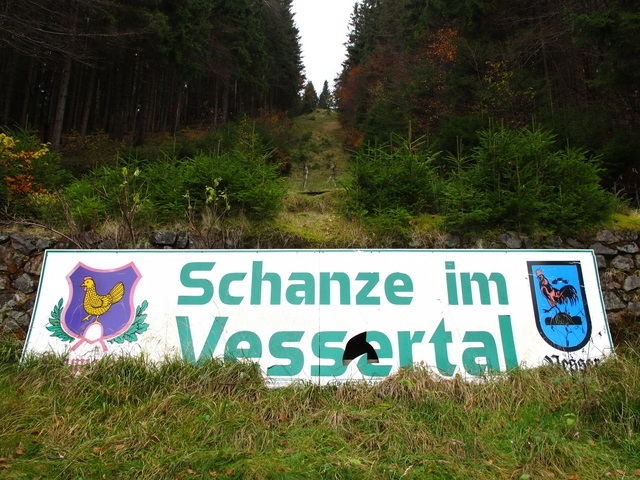 After World War II Schmiedefeld hosted many international competitions and GDR championships and was part of jumpers tournament of Friendship. 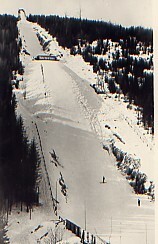 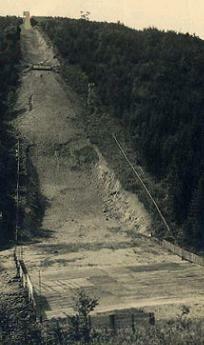 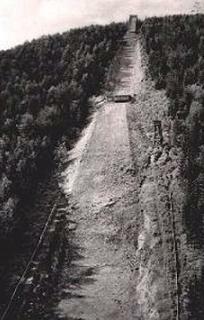 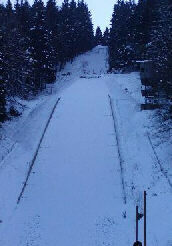 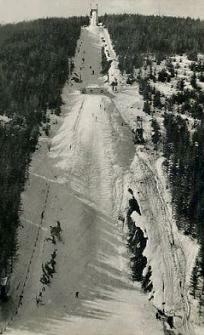 In 1951 at Vessertal a natural ski jump was constructed, which experienced many national and international highlights. 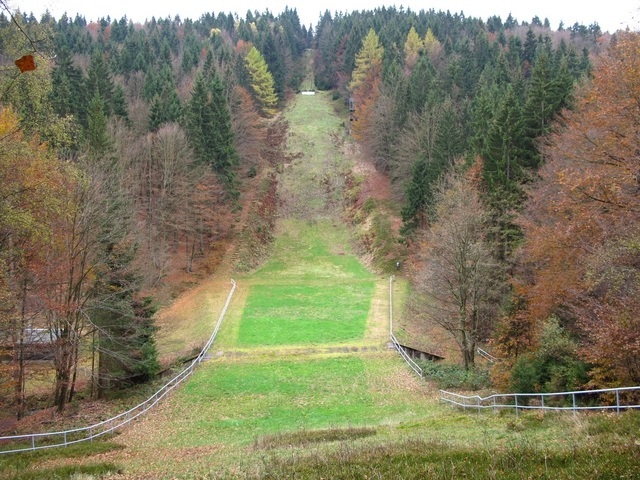 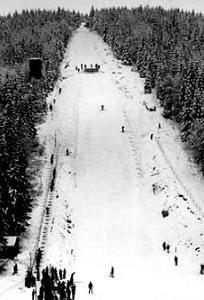 In 1957 a ski jumping competition was hosted on “Walter-Ulbricht-Schanze”, in which the world’s best jumpers took part. 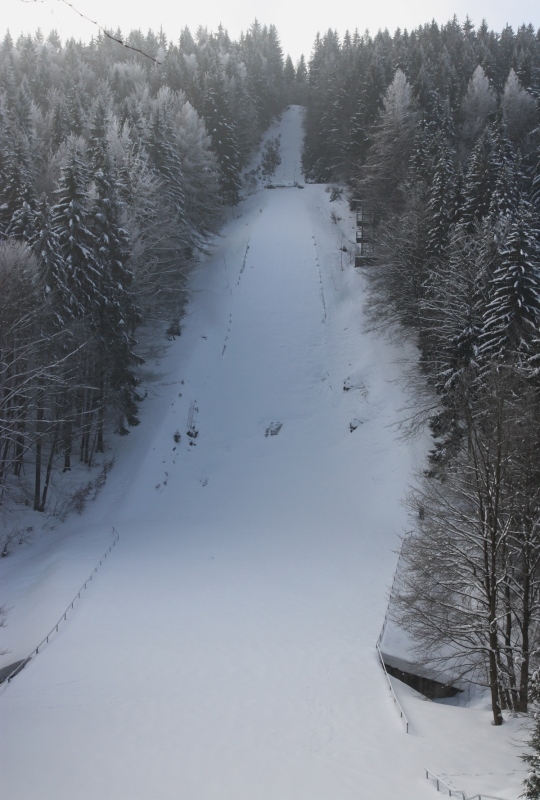 The winner at this legendary competition was Helmut Recknagel, who jumped with 84 m a new hill record which should last for a long time. 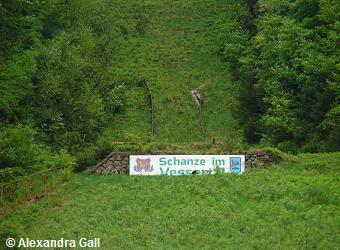 The “Walter-Ulbricht-Schanze“ was built in 1950-51 by grateful support of the government, because of the law for the support of the youth, and by the help of the people in Schmiedefeld who worked voluntarily. 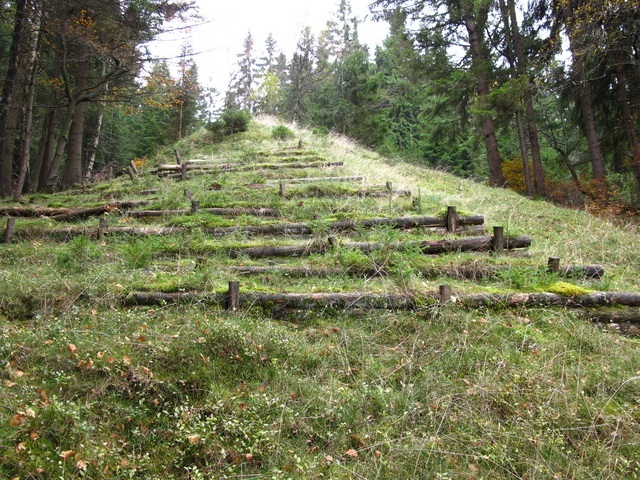 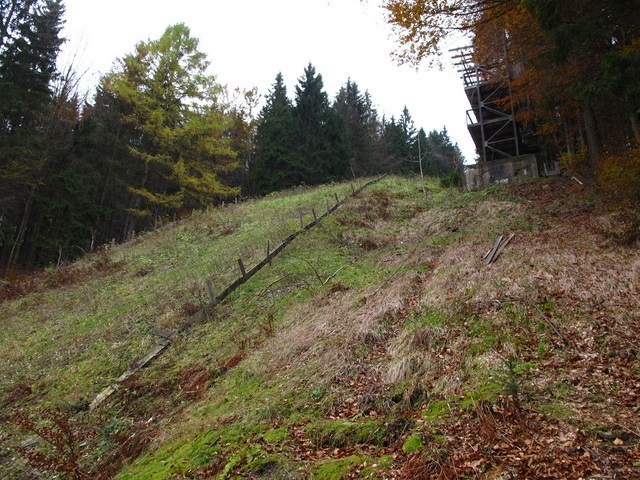 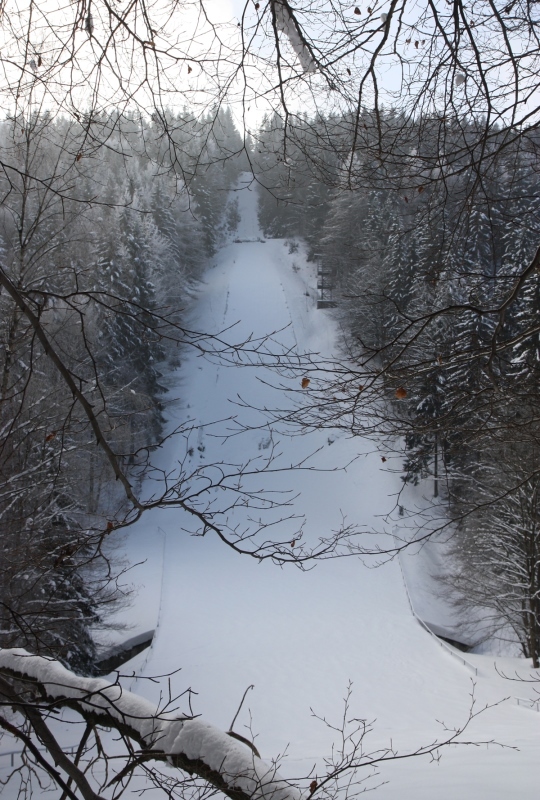 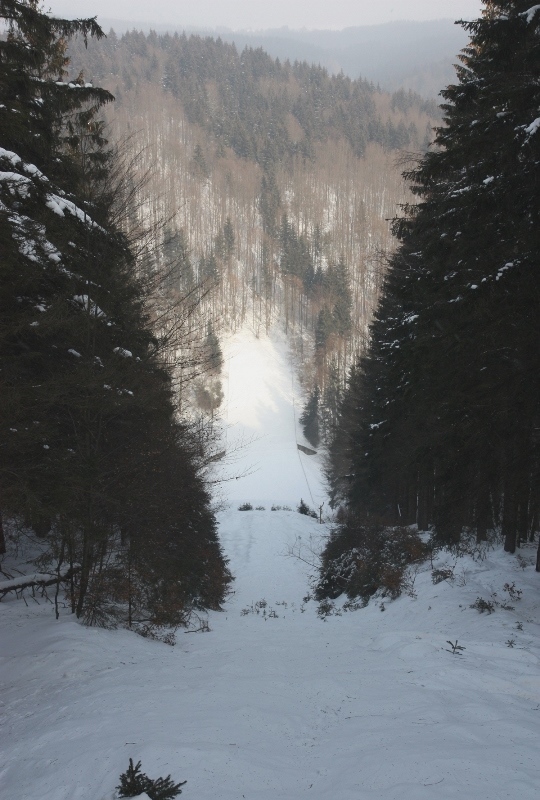 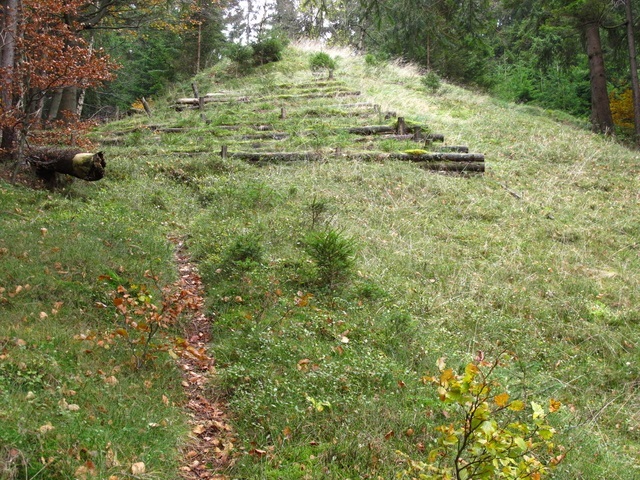 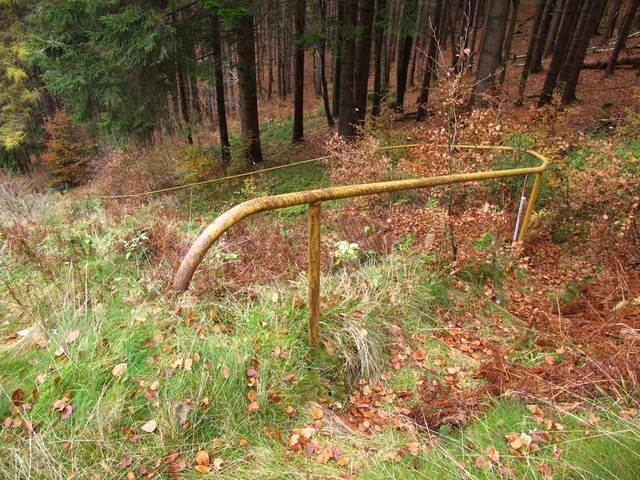 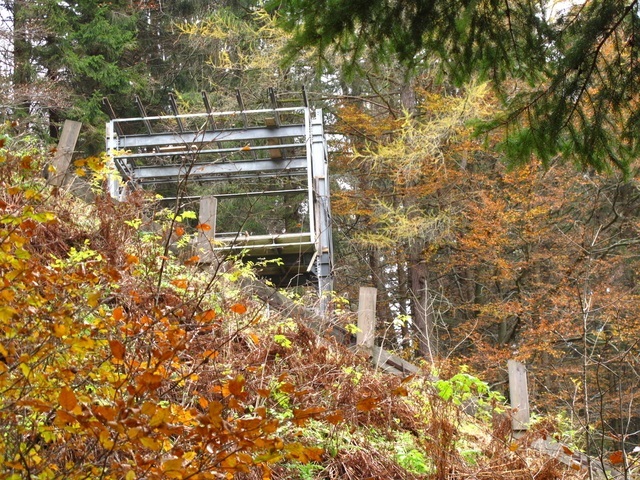 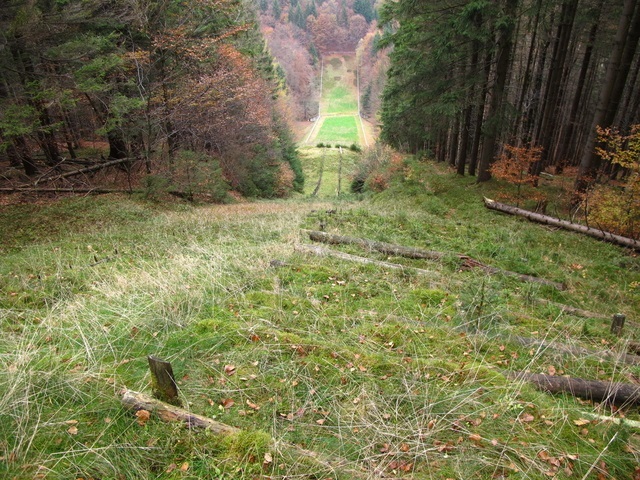 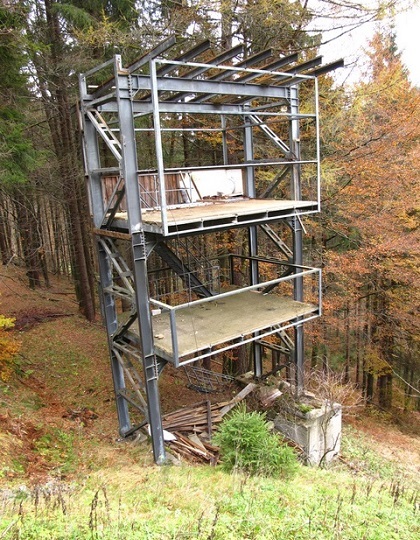 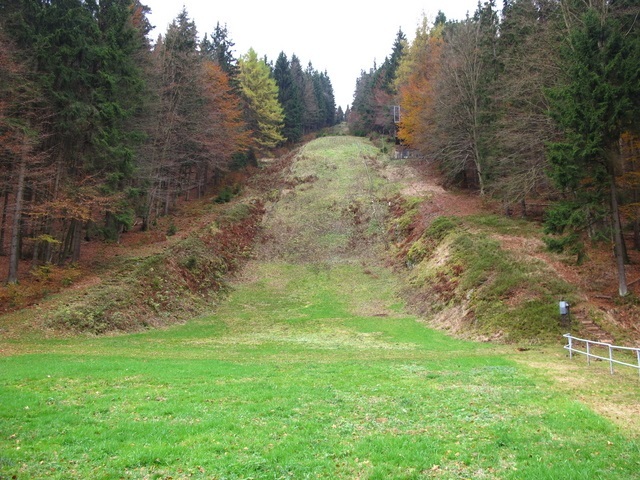 The “Walter-Ulbricht-Schanze” is one of tthe biggest natural jumping hills in the former GDR. 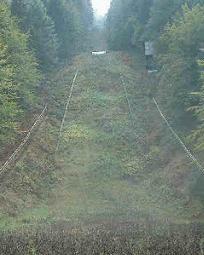 Today Vessertalschanze is not used for jumping anymore and the judges tower was deconstructed. 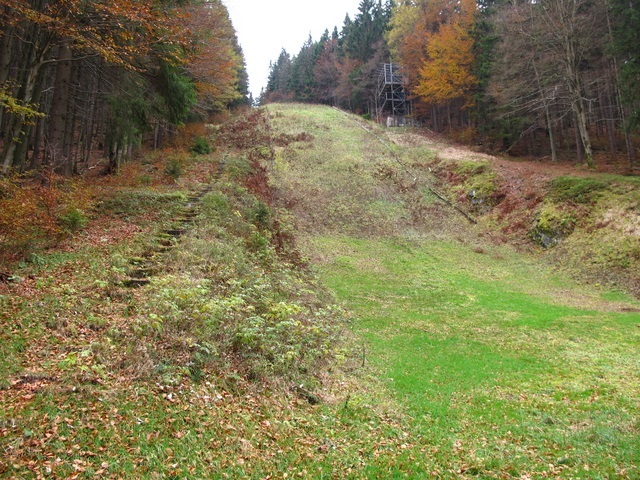 Instead, in 1979 built and 2000 for 130,000 € renovated Richard-Möller-Schanzen with plastic covering are much used by young jumpers. 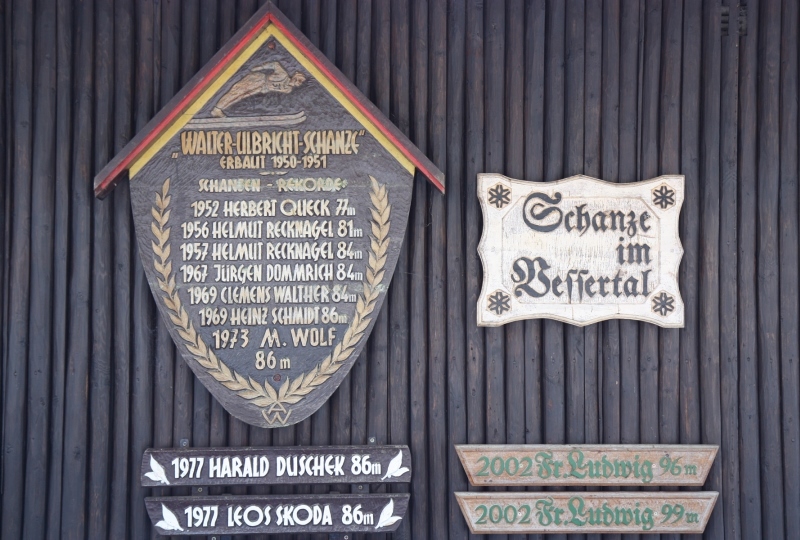 Der Schanzenrekord von 1952 war nicht Horst Queck sondern Herbert Queck, ist auch auf dem Bild der Holztafel zusehen.